Vigo, the city where KALEIDO, Ideas & Logistics was founded about 40 years ago, has been chosen to present the technological capabilities of a Group leader in his sector in terms of R+D. Supported by nearly 200 guests, KALEIDO team thanked its customers, collaborators and institutions for their trust and presented the new unified global brand. KALEIDO new identity responds to global changes that the company has been experiencing in recent years and that bring the vision of the company on logistics. Looking for the future, KALEIDO proved its technological capabilities through the development of three product lines: handling, lashing and monitoring solutions. As part of this meeting was presented the KARBON TRACK tool, a pioneering system of measuring GHG emissions (Greenhouse gases) associated to logistics projects. KARBON TRACK brings added-value to the companies, allowing them to measure the carbon footprint of their logistics process and incorporate it into the overall footprint of their product. The benefit to business practices is real and practical, always looking to reduce costs through logistics efficiency of its customers. With this initiative, KALEIDO, Ideas & Logistics positions itself among the major international logistics operators. 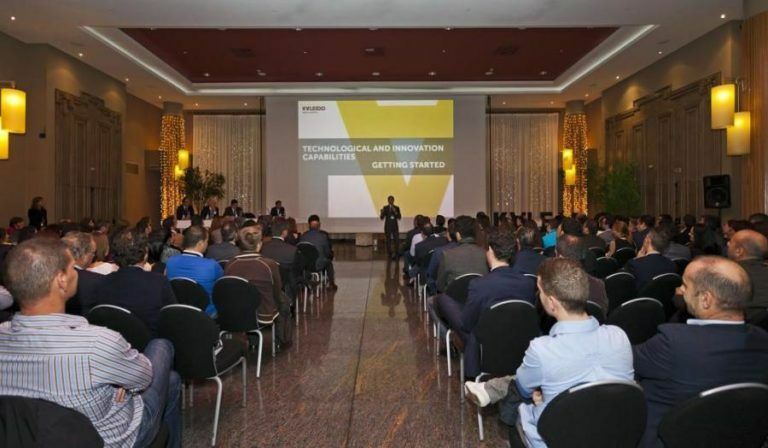 The event ended with a cocktail in which professionals from the natural resources, wind energy, shipping and automotive industries, among other guests, exchanged insights and concerns with the team of KALEIDO, Ideas & Logistics.